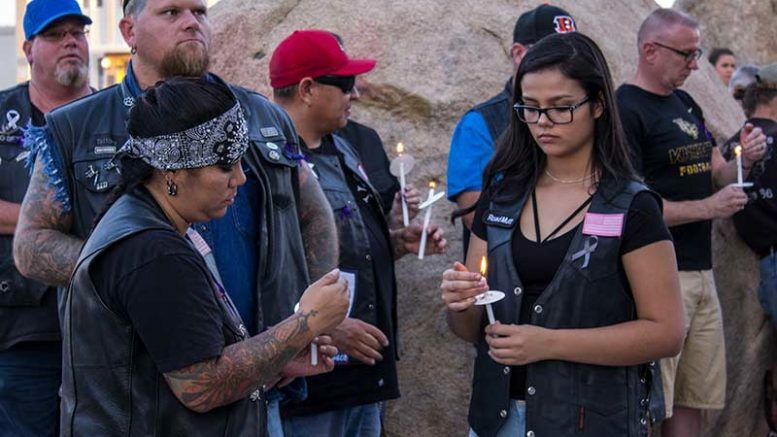 Brooke Curley Photo/Gila Valley Central: Despite the breeze, candles stayed lit for the inaugural vigil at the Graham County Courthouse on Thursday. 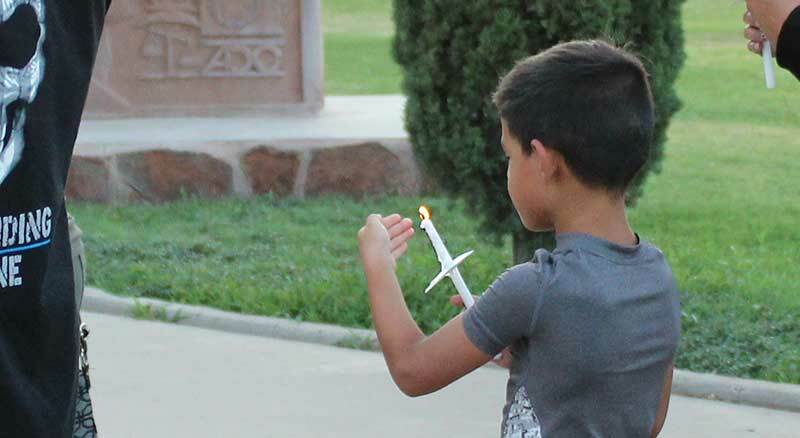 SAFFORD – The wind was a bit blustery Thursday afternoon, but numerous candles somehow remained lit in remembrance of those who lost their lives to overdose at the inaugural candlelight vigil at the Graham County Courthouse. 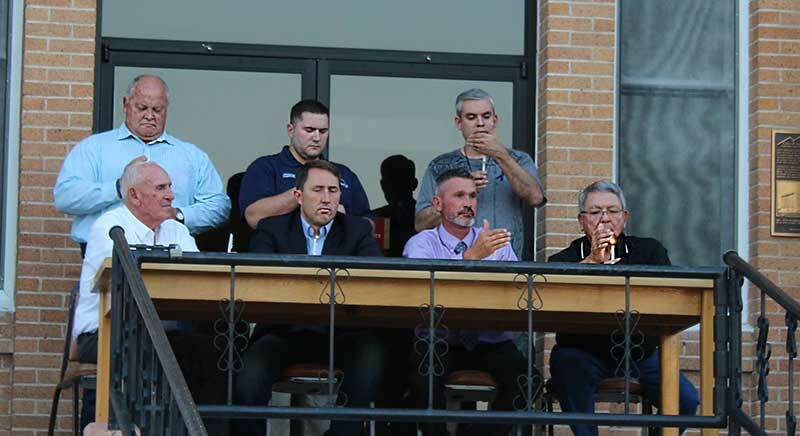 Multiple community leaders, such as Thatcher Mayor Bob Rivera, Safford Mayor Jason Kouts, Pima Mayor C. B. Fletcher, Graham County Supervisors Danny Smith and Paul David and Safford City Council members Michael Andazola and Chris Taylor, attended the event. 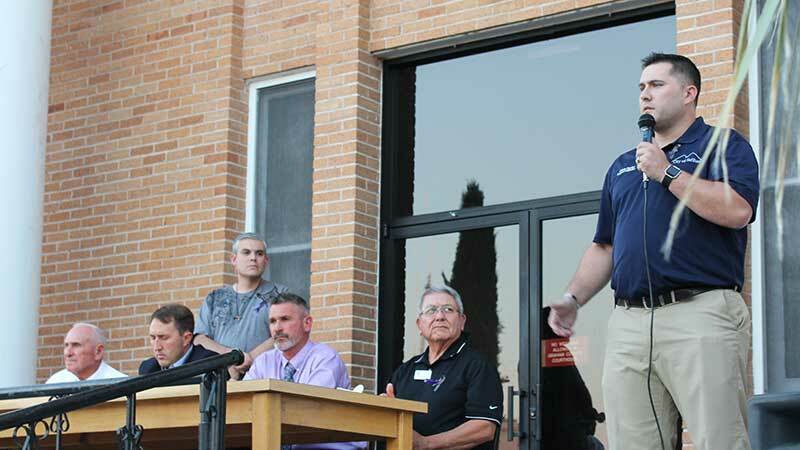 The vigil was organized by the Graham County Substance Abuse Coalition and took place on National Overdose Awareness Day. Taylor, who also runs Desert Eagle Addiction Recovery, spoke alongside Graham County Superior Court Judge Michael D. Peterson and Jan Napier. 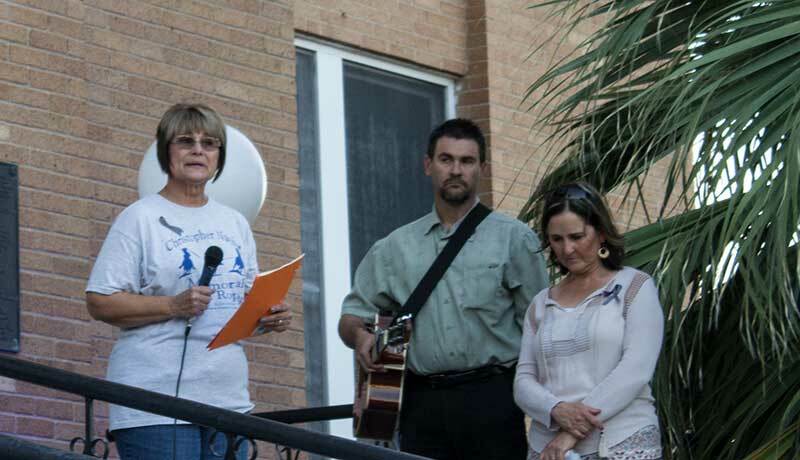 After the speakers, Jenny Howard performed a musical number. After the vigil, the lights on the Court House were turned purple in honor of National Recovery Month. Brooke Curley Photo/Gila Valley Central: Jan Napier stands to the left as she speaks about her son’s overdose death and her personal journey of recovery. Napier, whose son died of an overdose in 2012, was one of the last speakers. Napier described her son as a cowboy from the start, an athlete, an animal lover and a father. Napier said she still battles to recover from his death and has learned forgiveness, reliance on God, and finding the ability to love without expecting love in return. 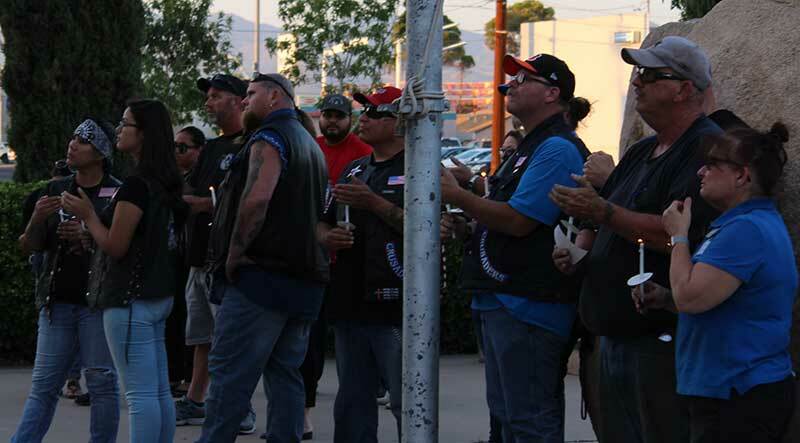 After the vigil, Judge Peterson told Gila Valley Central that he was pleased with the number of individuals who came to the event. Also, Peterson said he was happy to see so many individuals of diverse backgrounds in attendance. Peterson stressed that everyone can make a difference in the fight against drugs. 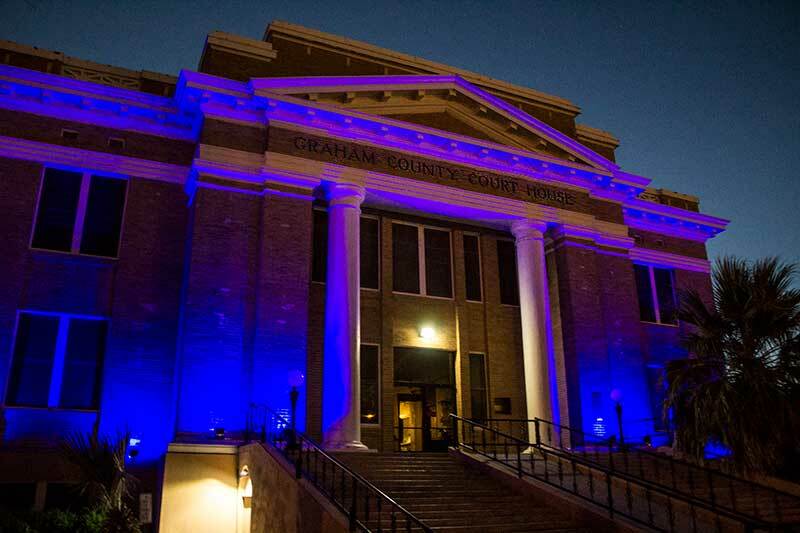 Brooke Curley Photo/Gila Valley Central: The lights on the Graham County Courthouse were switched to purple in honor of National Recovery Month. 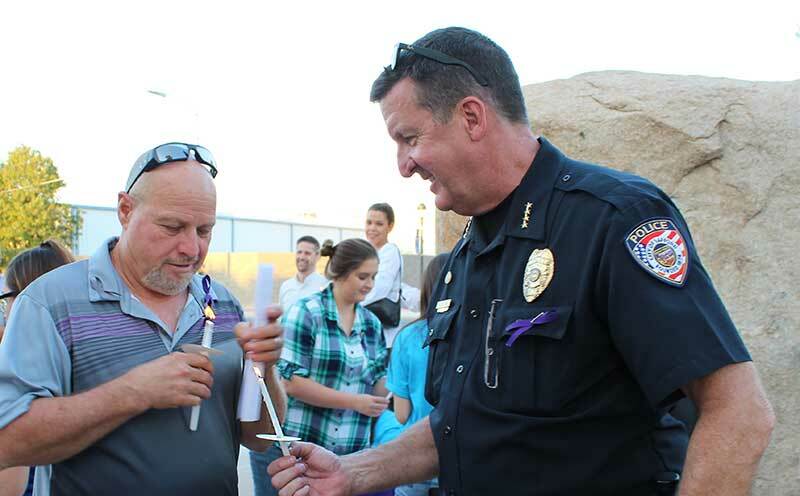 Safford Police Chief Joe Brugman told Gila Valley Central that there is hope in the community when it comes to the fight against drug addiction. According to Brugman, crime has decreased, indicating that the amount of drug use is also decreasing. 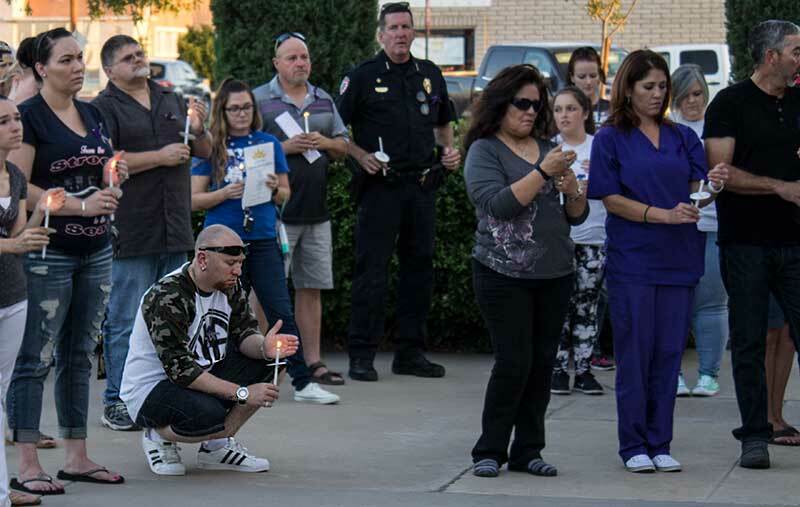 The Graham County Substance Abuse Coalition intends to have another vigil next year on the same day in the same location. If anyone is interested in learning more about the Substance Abuse Coalition, the annual Substance Abuse Coalition conference is scheduled for Sept. 7. For information on the conference visit gcsac.com/events/.